Our paper on “Explicating Factual and Subjective Science Knowledge: Knowledge as a Mediator of News Attention and Attitudes” has been accepted for publication at the Asian Journal of Communication! Congratulations to my team! Ho, S.S., Looi, J., Leong, A.D., & Leung, Y.W. (in press). Explicating Factual and Subjective Science Knowledge: Knowledge as a Mediator of News Attention and Attitudes. 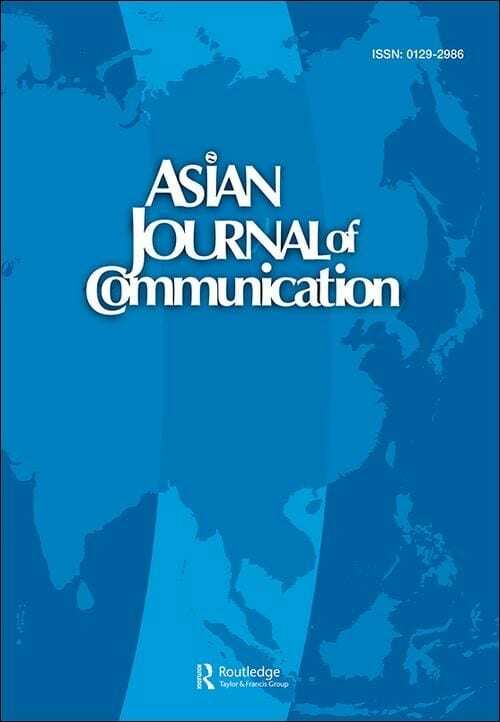 Asian Journal of Communication. Communication scholars have conflicting views on the relationship between exposure to science news and knowledge, and its subsequent influence on attitudes. Such mixed sentiments could arise from the vague definition of knowledge. Therefore, this paper explicates science knowledge into factual knowledge and subjective knowledge. It also compares the mediating roles of both types of knowledge between news attention and public support for science and technology (S&T). A survey of 967 Singaporeans showed that news attention was positively related to both factual and subjective knowledge. The findings revealed a stronger relationship between subjective knowledge and news attention than factual knowledge and news attention. Additionally, factual knowledge was positively related to public support for S&T, but subjective knowledge was negatively related to public support for S&T. The contrasting directions of these associations demonstrate that factual and subjective knowledge are two distinct dimensions of knowledge. Practically, the findings can inform policymakers and communication practitioners about effective public education and engagement initiatives. This study also provided guidelines for newsmakers in news reporting about S&T.